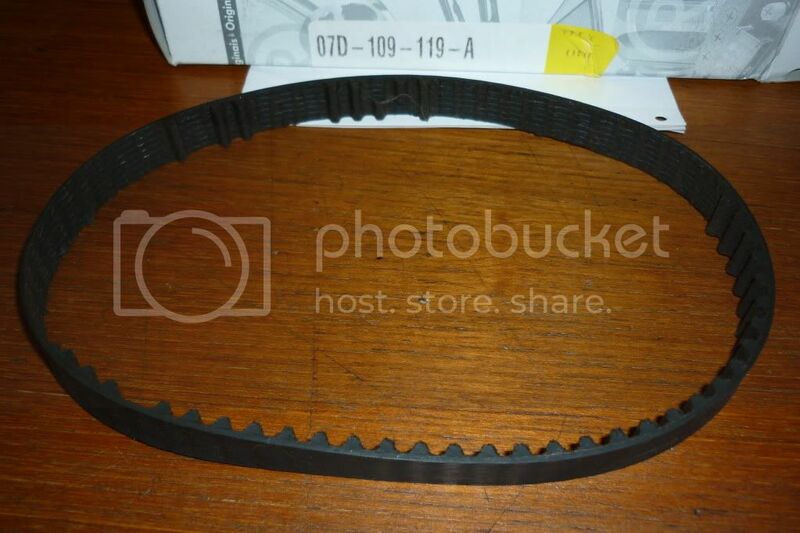 Has anyone replaced the belt WITHOUT the T10069 tool? If so, what did you do/use? Okay, thanks. Thats what I was afraid of. Picture of the old belt. Ha atleast yours was not broke in half. Wow... didn't know about this thread! I just had mine replaced as well; was getting a vibration at ~3k rpm... wasn't sure what it was, but turned out to be the harmonic balancer belt. I saw the old belt after the job was - it was completely smooth; not a single rib left on it!! That was at 145k km. I would say regular replacement interval at 120k kms/80k miles is a good recommendation. What sort of a vibration are we talking about here? Is this a "hmmm... maybe I lost a wheel weight?" vibration or a "holy poo I need to pull over!" vibration? No, not like an out of balance wheel, which makes the whole car feel unstable (and that you can feel in the seat), but more of a steady, resonating shudder that you could feel through the shifter, throttle, and a bit through the steering wheel. Not at all "violent", but obvious enough that something wasn't right. Failure is obviously not catastrophic, though I suppose if the belt snaps, it could get caught up and cause more serious damage than just the vibration associated with being out of phase. As mentioned, from the posts above, and my own recent experience, 120k kms/80k miles is a good change interval.